This section presents free classified ads for Industrial Machinery for sale and to buy in Galway. FREEADS in Ireland is a platform to post efficient advertisements or classifieds in Galway. We help you find, buy, sell, rent or hire apartments, various goods for sale, local services offerings, cars, jobs and many more in Galway. If you are not happy with ads you see on this page please use search box above to find other items for sale in category Industrial Machinery and location Galway or select another category. 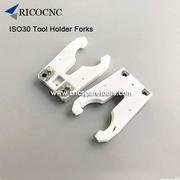 ISO30 Plastic Tool Finger Forks for HSD Auto Tool Changer CNC Routers ISO30 plastic tool finger also called ISO30 tool holder finger, ISO30 tool cradle, ISO30 tool holder fork, ISO30 tool grippers, ISO30 tool clips, ISO30 replacement holder. These replacement tool holder fingers are plastic forks for iso30 tool holders, the plastic clips to clamp ISO30 DIN 69871tool holders , widely used in Italy HSD ATC and hiteco iso30 tool changer for woodworking ATC CNC routers and others. Ireland free ads for Industrial Machinery, Galway, Industrial Machinery free ads Galway, Industrial Machinery for sale Galway, Industrial Machinery to buy in Galway. This page is a classified ads listing for Industrial Machinery Galway. This listing includes classifieds for sale and to buy in Galway. If you posted an advertisement on Industrial Machinery, Galway before please use Edit my ads button to change or cancel your ad. Industrial Machinery Galway ads Galway, Industrial Machinery classifieds Galway, Industrial Machinery free ads Galway, ads for sale Galway, ads to buy Galway, FREEADS in Ireland. Find here ads for sale, to buy and rent in Galway. Goods for sale in Galway, vehicles for sale in Galway, Galway real estate for sale, Galway property for sale, property for rent in Galway, business ads in Galway, Galway business classifieds, services in Galway, Galway services ads, jobs in Galway, pets for sale in Galway, Galway dating, Galway cars for sale.